Roasting grapes brings out their natural sweetness and elevates them into an elegant, light, yet very easy dessert. Seasoned with a sprinkling of cinnamon sugar and sea salt, the grapes soften and blister as they roast, filling the kitchen with a delicious aroma. Served warm with a dollop of Greek yogurt, this makes a really delicious and nutritious dessert. The cool silkiness the the yogurt is a lovely contrast to the warm, spiced grapes which burst in your mouth. The result is something irresistible and completely seductive. I fancied up the Greek yogurt with a bit of whipped cream, honey and some orange flower water. You could easily serve the grapes with ready-to-go vanilla yogurt. This recipe was inspired by The Pastry Studio blog and the original recipe can be found here. Preheat oven to 450 F. Toss the grapes in the olive oil. Place on a parchment lined baking sheet. Sprinkle with the cinnamon sugar and finish with a sprinkling of sea salt. Bake 20 minutes, tossing a few times to prevent burning. Serve warm with a dollop of yogurt cream. Combine all the ingredients and serve a generous dollop of the yogurt cream with the grapes. 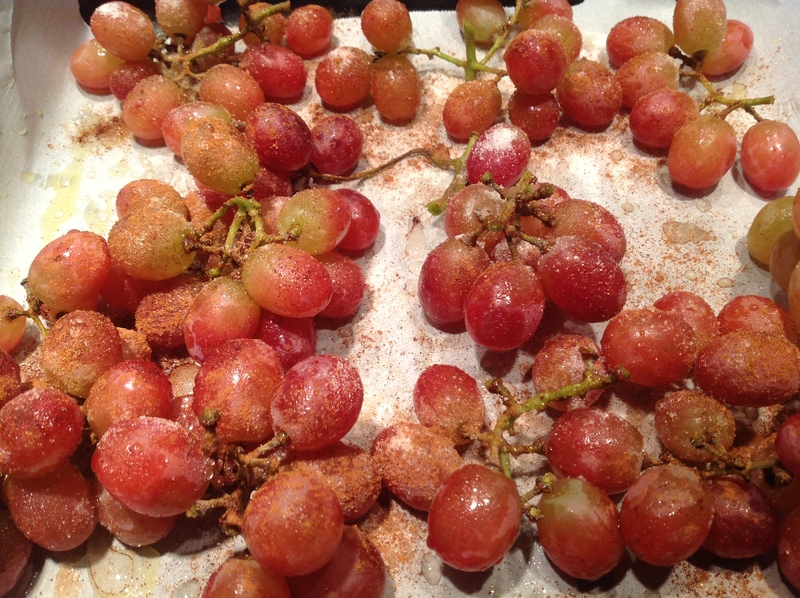 The seasoned grapes just before roasting. Looking for a savory dish featuring roasted grapes? Try the sheet pan chicken thighs with cauliflower, grapes and crispy prosciutto, recipe here. 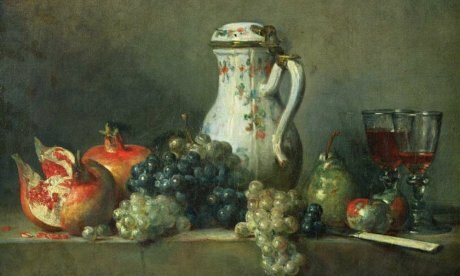 This entry was posted in Recipes and tagged grapes for desserts, grapes with yogurt for dessert, roasted grapes, yogurt cream, yogurt with orange flower water by Johanne Lamarche. Bookmark the permalink. And they would be good without the added sugar for you too Elaine. I have roasted them with cauliflower for a savory take and that was also good! This looks and sounds delicious and would be delicious so many ways! You are right Julie. 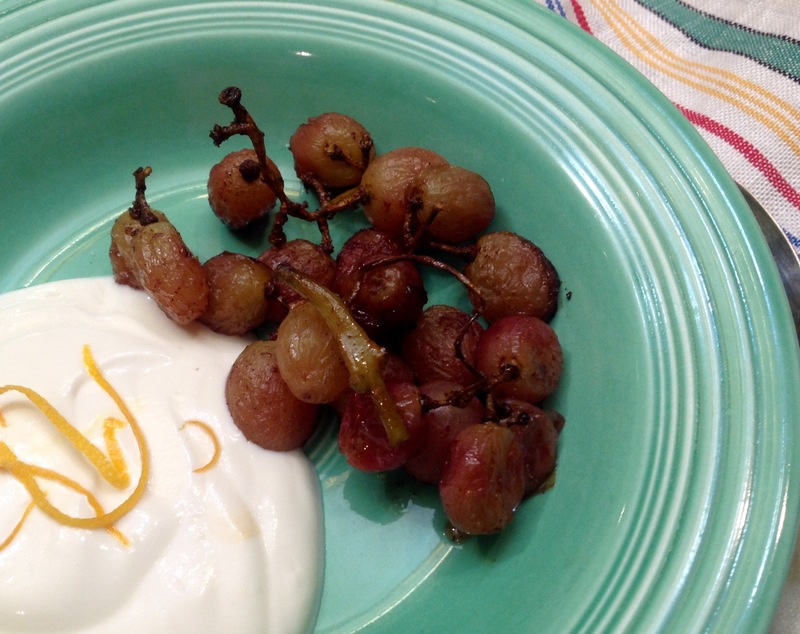 The yogurt flavoring and the spices on the grapes can be totally adapted to your taste. Very interesting and so easy. Must try it soon. Saw another recipe with a red wine reduction that I am trying to find again. We must try that one! 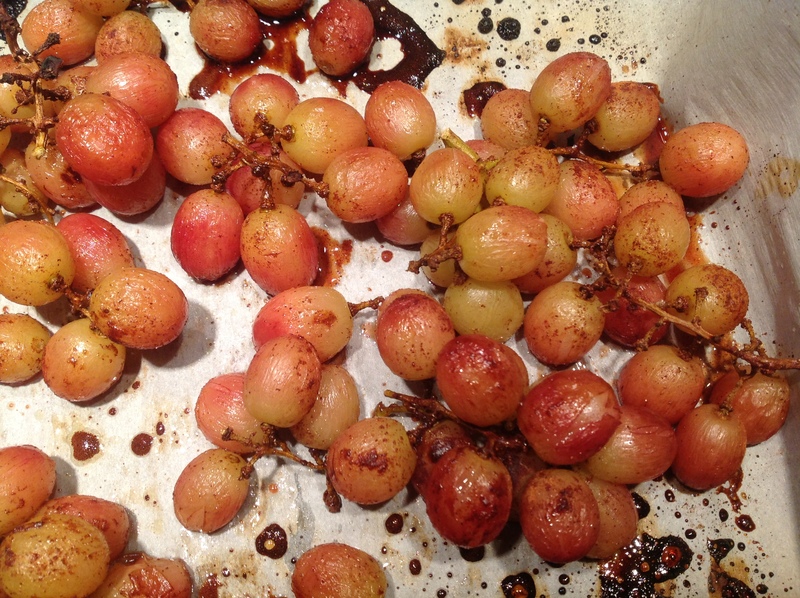 I love roasted grapes Johanne, and what you did with the yogurt is brilliant! How original Johanne! I don’t believe I’ve ever roasted grapes before, but it sure sounds delicious. Have you ever visited Terrain in Glenn Mills? Lots of wonderful creative ideas and a gorgeous lunch menu. Love that place. I was just thinking of going to Terrain to see all the holiday displays. Love the store and the café! Usually pick up interesting amaryllis bulbs to force at this time of year. 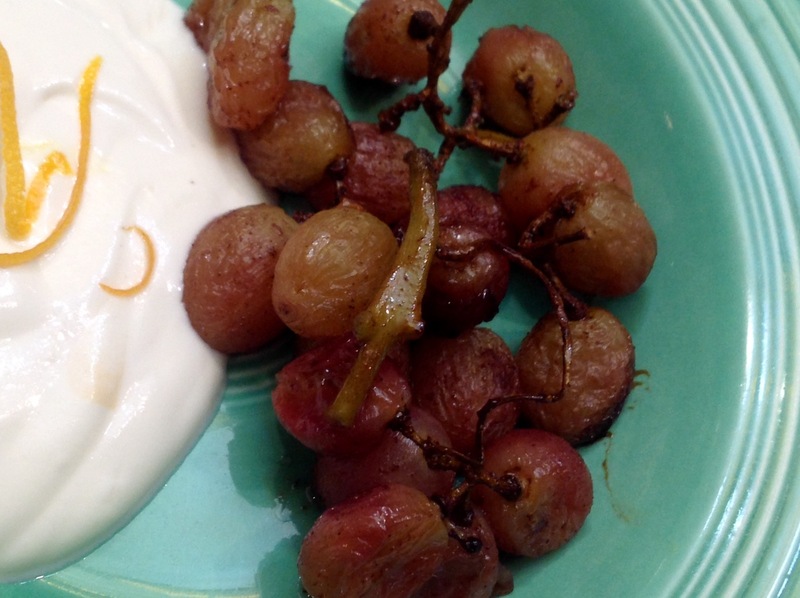 I’ve roasted grapes before, and eat them with yogurt for breakfast, but just plain. I love the idea of the cinnamon, salt and olive oil and can’t wait to try it that way. It was so nice meeting you tonight and learning about your blog. Thank you Linda! I hope you will enjoy the seasoned grapes as much as the plain ones you already make.